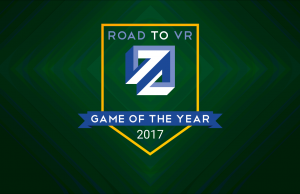 With leading high-end VR headsets debuting in 2016, we’ve had about two years to see what the first-generation VR experience looks like. 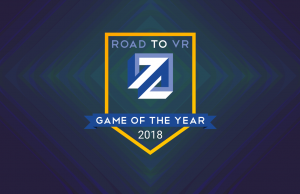 While there’s certainly a range of exciting games and other VR software coming soon to first-generation hardware, it feels like the market is steadily turning its attention toward next-generation technologies, and fostering a renewed sense of excitement and momentum. 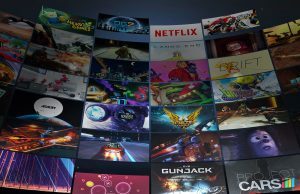 Here’s a smattering of exciting projects that are likely to influence the VR and AR space in the next two years. 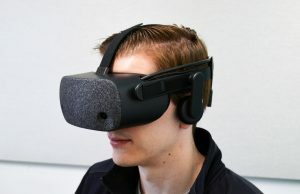 Prior to launch the first consumer Rift headset, Oculus had a long history of showing prototypes and development kits. 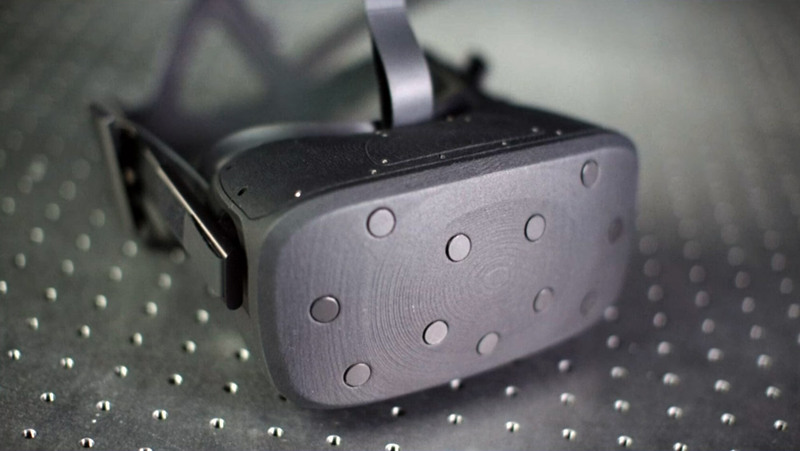 Following the company’s 2012 Kickstarter, enthusiasts and developers watched the subsequent development of the Rift DK1, DKHD, DK2, Crystal Cove, and Crescent Bay headsets before the consumer Rift finally made it to market in 2016. Following the launch of the Rift, Oculus kept their R&D efforts on future PC headsets mostly secretive. 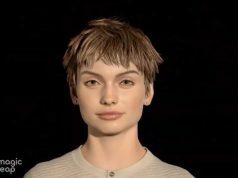 That is, until the reveal of the Half Dome prototype less than two months ago. Half Dome introduces a much larger 140 degree field of view (to the Rift’s ~100 degree) along with a varifocal display and eye-tracking. 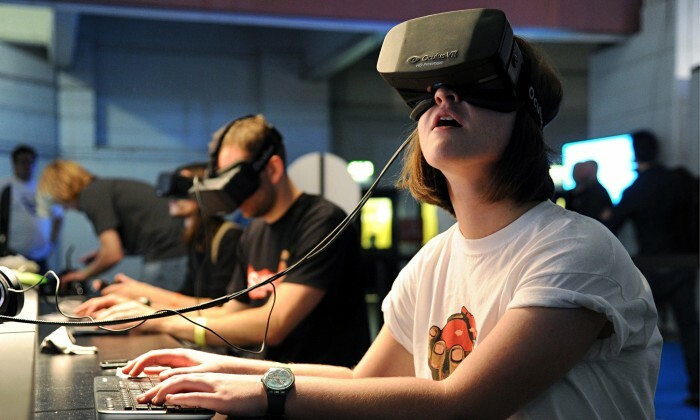 The larger field of view will make the virtual world feel much more encompassing and immersive. The varifocal display makes the virtual visuals look more realistic by dynamically changing focus to simulate light coming from objects of varying distances, also making it easier to focus on objects closer to you; in short, it makes the light coming out of the headset act more like light from the real world, which allows your eyes to function more closely to how they would in the real world. Then there’s eye-tracking—the ability for the headset to know precisely which direction your eyes are looking—which can enable game-changing capabilities. 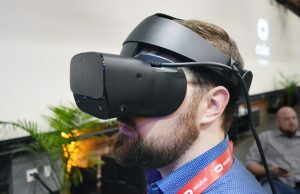 Oculus has said clearly that we shouldn’t expect to see everything from Half Dome in the Rift 2, or whichever PC-based headset is coming next from Oculus, but it gives us a clear direction that the company is looking for the future of its PC headsets. 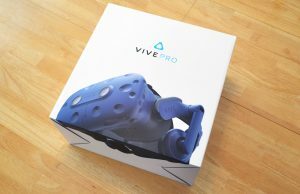 It was once thought that controller-less glove & finger tracking technology would be the ideal input for virtual reality, but over the last few years the benefits of having a physical, tracked controller for VR input have become quite apparent. For one, buttons and sticks are more reliable than gestures for binary input (like initiating a ‘grab’ action, or navigating a menu), and it turns out that having something in your hand while grabbing virtual objects actually feels much more natural than making a mock grabbing posture with nothing to grasp but air. But there’s still benefits to the full finger tracking afforded by VR gloves, like added realism and a less abstracted means of fine interaction in VR (like poking and pinching). The Knuckles controller, in development by Valve, aims to mashup the capabilities of both VR controllers and VR gloves, by creating a controller which can sense the position of all five fingers. 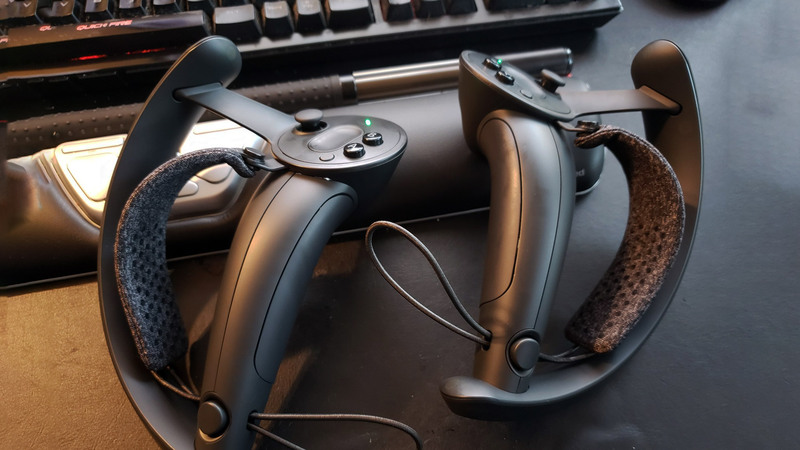 Last month Valve revealed the latest version of Knuckles, dubbed the EV2, which also introduced a force sensor into the controller’s handle to detect how hard the user is gripping. Another major part of the controller’s design is the strap which can keep it on the user’s hand even when they completely release their grip. 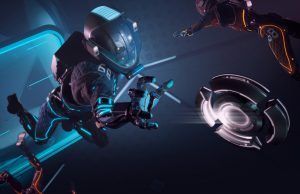 With finger tracking, force sensing, and the strap design, Knuckles opens up new interactive possibilities like being able to crush things in your hand and more naturally throw objects. 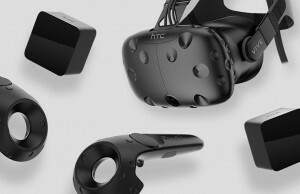 Valve hasn’t said when Knuckles will ship to consumers, but the latest development kit is looking much more polished than previous versions and could be soon on its way to mass production. 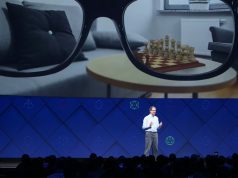 The world of AR is poised and waiting for its breakout headset. While HoloLens is impressive in many ways, it’s expensive and held back by a limited field of view and sluggish & imprecise input. 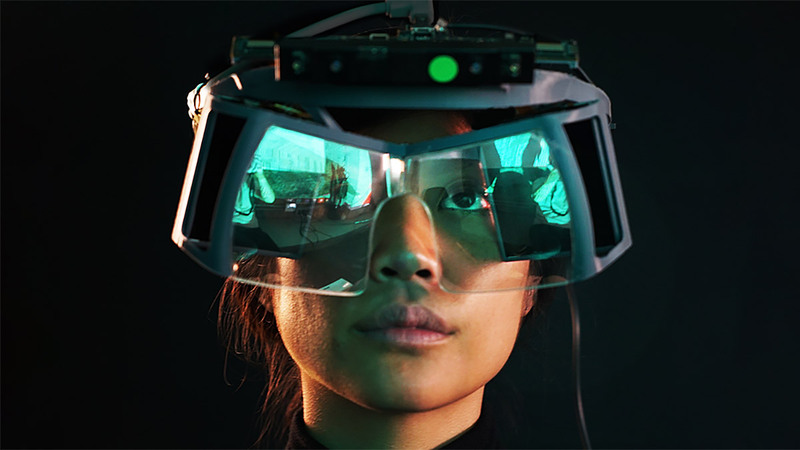 It will be a few years yet until the market sees an affordable and compact AR headset which feels immersive in both input and output. 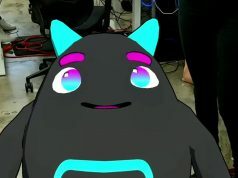 Until that happens though, it’s challenging for developers to design the basic capabilities, interfaces, and interactions that will define AR experiences—just as its taken several years for VR developers to learn how to create compelling VR content. 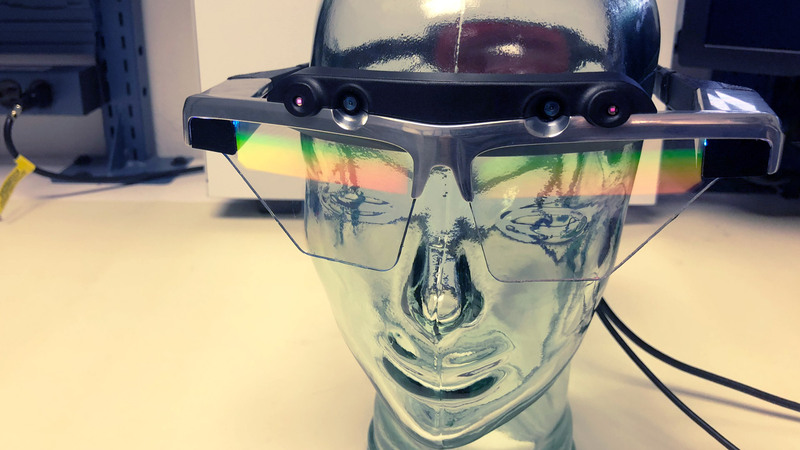 Not wanting to wait for the future to one day show up, Leap Motion has designed its own prototype AR headset which is made to give developers a development platform which represents the input and output experience that future AR headsets will hopefully one day provide. 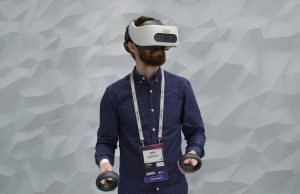 Called Project North Star, the device eschews any care of form factor, and aims solely at maximizing the end experience with a wide 100 degree field of view, low latency, high resolution, and of course the company’s hand-tracking sensor. 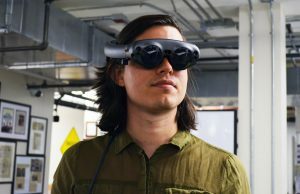 Having open-sourced the design of the headset, Leap Motion hopes North Star will make it possible for the AR industry to get a head start designing apps and interfaces for a future where everyone is walking around with an immersive AR headset. 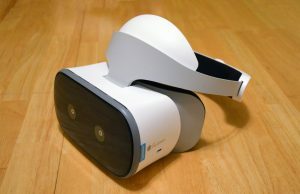 While Oculus launched its low-cost ‘Go’ headset earlier this year, it offers a very similar experience to the Gear VR headset which has been available for several years now. 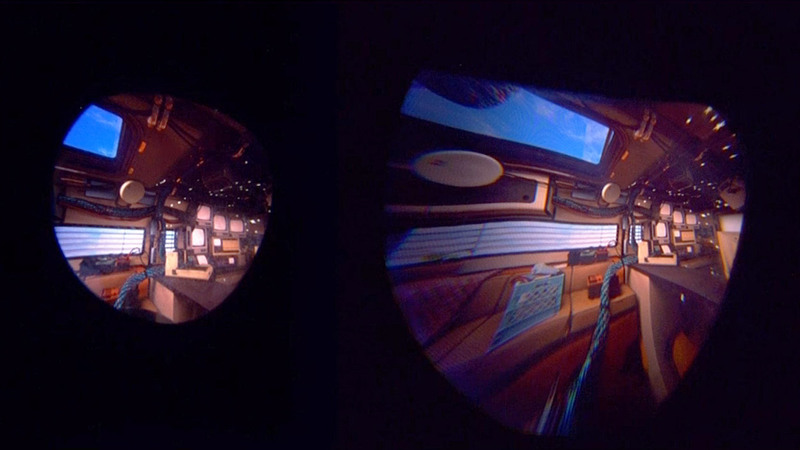 But Oculus is also working on a more ambitious standalone VR headset called Santa Cruz. 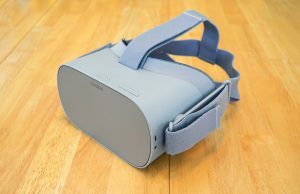 You can think of it like an advanced version of Oculus Go which is not only more powerful, but also offers 6DOF tracking, meaning that users can physically move around while using the headset, just like high-end PC VR headsets. 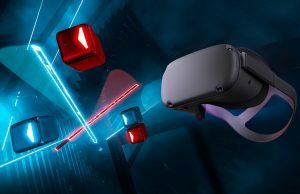 And while Santa Cruz won’t be the first standalone headset to offer 6DOF tracking, it’s poised to be the first to also offer 6DOF motion controllers, giving users both full head and hand tracking, and making it possible to play much more immersive games on the headset. Oculus has been working on Santa Cruz for quite some time now. 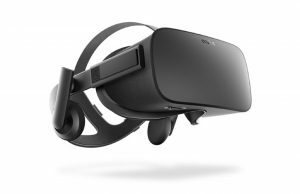 The company first revealed the headset all the way back at the end of 2016. 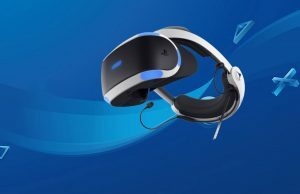 The last time we went hands on with the headset was when it was introduced with motion controllers in 2017. 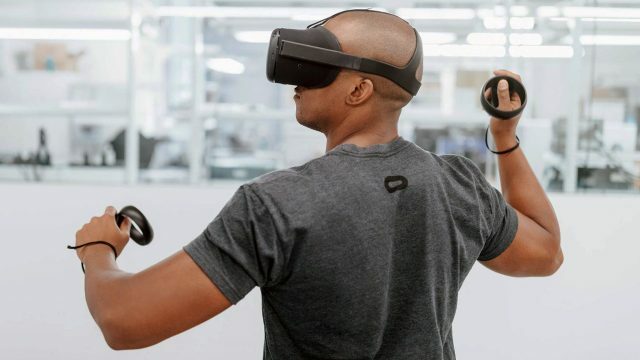 While the company hasn’t yet announced a release date or price for the headset, we expect to hear a major update on Santa Cruz at Oculus’ developer conference at the end of September.